When it comes to getting a new garage door installed, homeowners now have a greater choice than ever before when it comes to style and design. As far as the panel material is concerned, people usually focus on just two options - steel and wood. Let’s find out how each one ranks in a set of important categories. Both steel and wooden garage doors are naturally very strong and durable, but they can also be vulnerable to some damaging effects of the natural environment. How vulnerable is each one exactly? Steel is an alloy and manufacturers have the opportunity to make it stronger and more resistant to damage during the production stages. 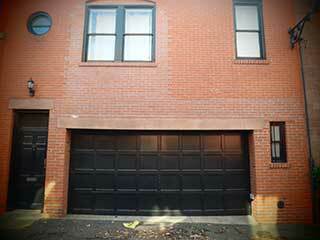 In fact, most modern garage doors are made from galvanized steel which has a zinc layer protecting it from corrosion. Wood, on the other hand, can also receive a protective layer, but it has to be reapplied regularly in the form of special paint. Additionally, its natural enemies include not only moisture but also certain pests like termites and even direct sunlight. Steel garage doors require washing once or twice a year. They should be painted for added protection after their installation. They can be repainted after several years if needed. Wooden doors also require the immediate application of a specially formulated coating after installation to be protected. It could be paint or another type of finish. The coating must be reapplied annually, after a thorough cleaning. Wooden panels should be cleaned with a soft cloth only. It is possible to use a specially formulated cleaner after confirming that it won't damage the material. There is a great range of choices with steel door models. The single-layer ones are made from a single sheet of steel. It is possible for polystyrene insulation to be added as backing. The three-layer structure involves two exterior layers of steel and an interior layer of insulation. The insulation could be polystyrene or polyurethane, which has a greater R-value and is highly resistant to damage. Wooden doors have rail and stile construction with wood panels sliding into beaded slots. However, some manufacturers have introduced insulated models which have polystyrene insulation in the center within the rail and stile frame and two boards of wood on the sides. You should compare the R-values of different models before making a final decision. It is important for you to use exact measurements when it comes to the size of your new garage door. This will make the shopping process easier and more efficient. If you plan to keep your existing springs and opener, you should check how much weight they can handle and ensure that the new door won’t be too heavy for them, unless you're willing to get new ones. With torsion springs, you need to look at the torque limit. With the opener, you need to check the motor's horsepower output. Last, but not least, it pays off to determine a budget which you are comfortable with before you go shopping for a new garage door. This will help you filter out some of the options and streamline the process. If you need some help finding the right door for your needs or carrying out the installation process, give our team at Garage Door Repair Los Altos a call. Our company provides high-quality garage door repairs at the most competitive rates. No matter what the problem is with your door, we’ve got your back. From opener installation and spring replacements to safety checks, our experts are the best. Book your appointment today! Thank you for choosing Garage Door Repair Los Altos! One of our experts will be in touch soon. Feel free to browse our website for FAQ, tips and more useful information in the meantime!